Macrame has made quite the comeback and the team and I are loving the style and decor opportunities. 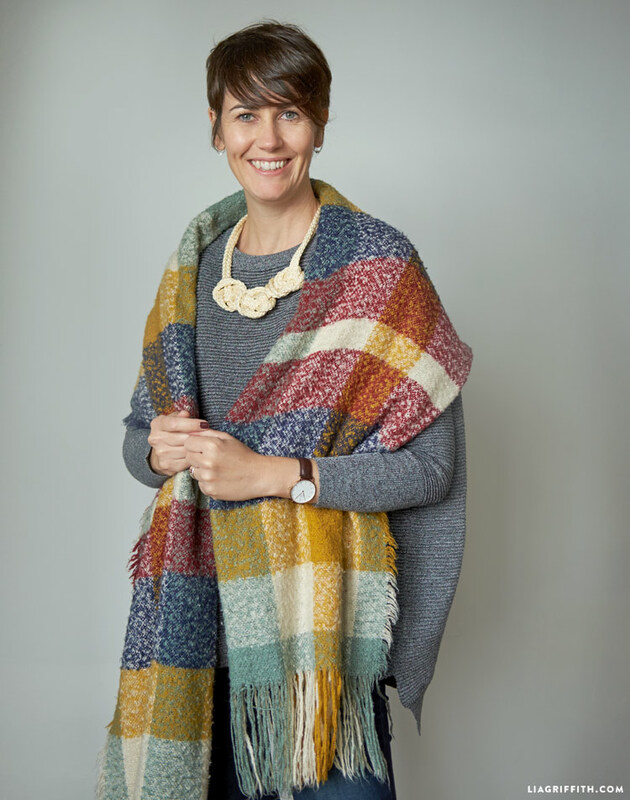 Not only is it fashionable, but it is also extremely affordable. Yes please! 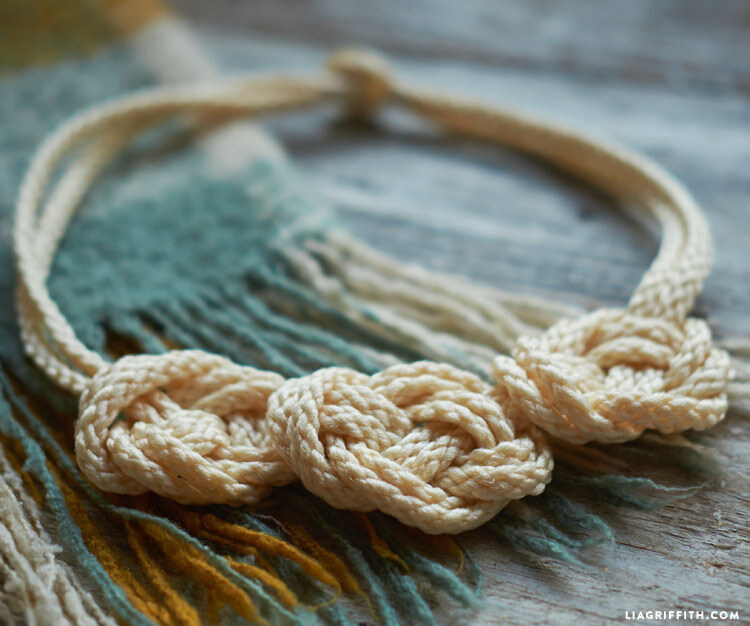 This summer we created a DIY macrame necklace with thin cotton twine and copper accents, and now we’re seeing what we can do with thick macrame cord. Voila! 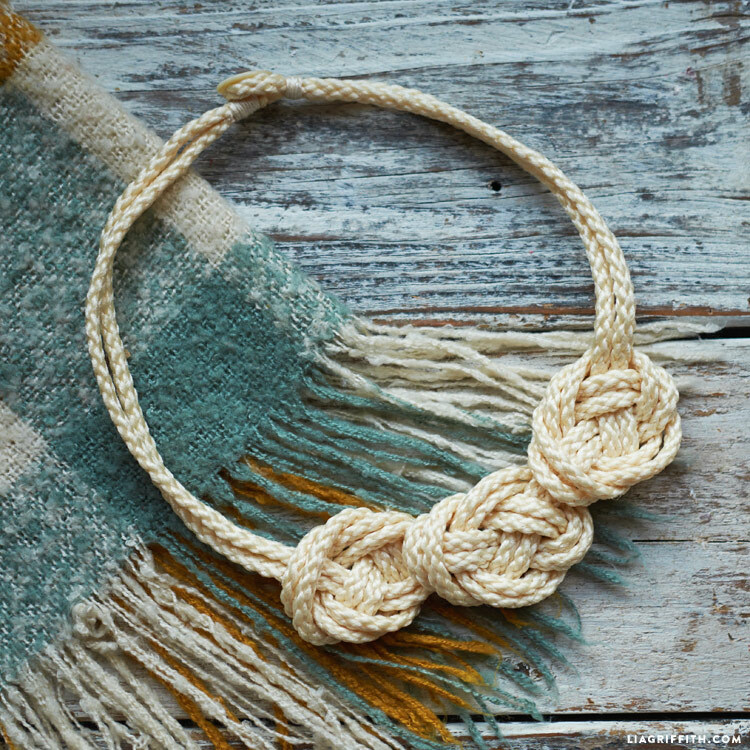 Here is our macrame knot necklace that can act as a trendy fashion statement to pair with any outfit during any season. There is no template associated with this project, but we do have printable instructions outlining the necessary materials and tools. 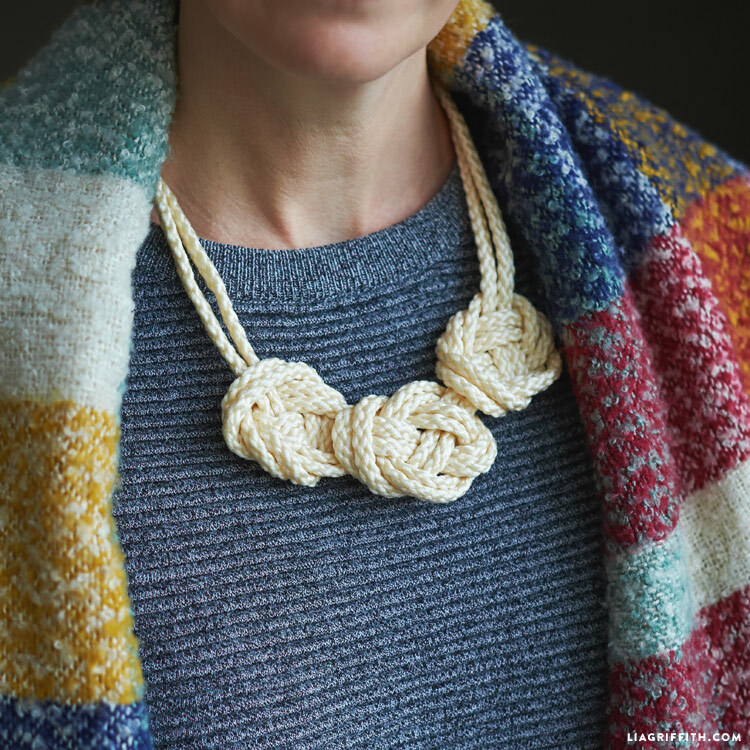 Because this knotting technique is best learned visually, we highly recommend referring to the photo tutorial! We started by choosing some macrame cord on Amazon – find the link in Shop this Project. We went for their cream color, but they have a huge selection of colors to satisfy your creative inclinations. Once you have your materials ready, measure your length of cord. 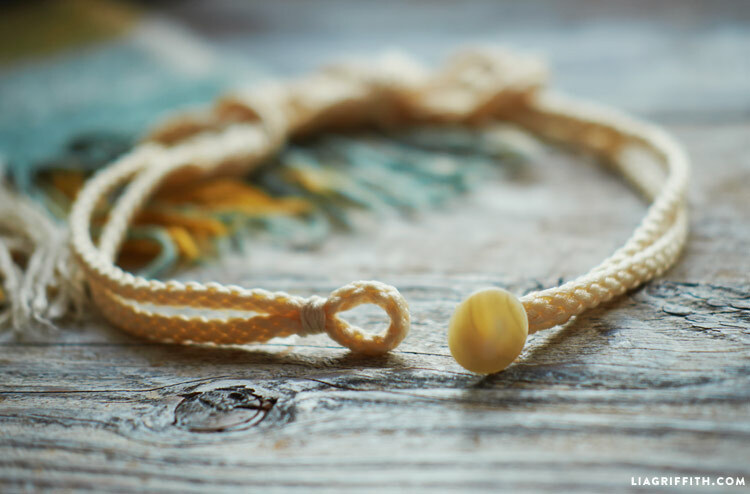 Our knot necklace design uses just under 10 feet of cord, and it was the perfect size to slip on and off without having to unclasp. You can easily customize your length if you would like something that hangs a bit lower! I’d like to do a bracelet. What would you recommend for the length of the cord? Great idea! We haven’t created a bracelet so I can’t say for sure, but maybe 5-6′ to start? Wish I could figure this out. It is really nice. Thanks! It took me a few tries.